There are serious dangers from cooking fires for older adults, including injury and death. According to US FEMA fire statics, older adults have the greatest risk of dying in a fire, Ages 65 and over have a risk that is 2.5 times greater than the population as a whole. If you have noticed burned pots and pans at your parent’s home, do not ignore it. Another sign is disappearing pots and pans because your parent has thrown away the evidence. Even if you have only witnessed them forget about a pot cooking on the stove or a roast in the oven, you are correct to be very concerned. 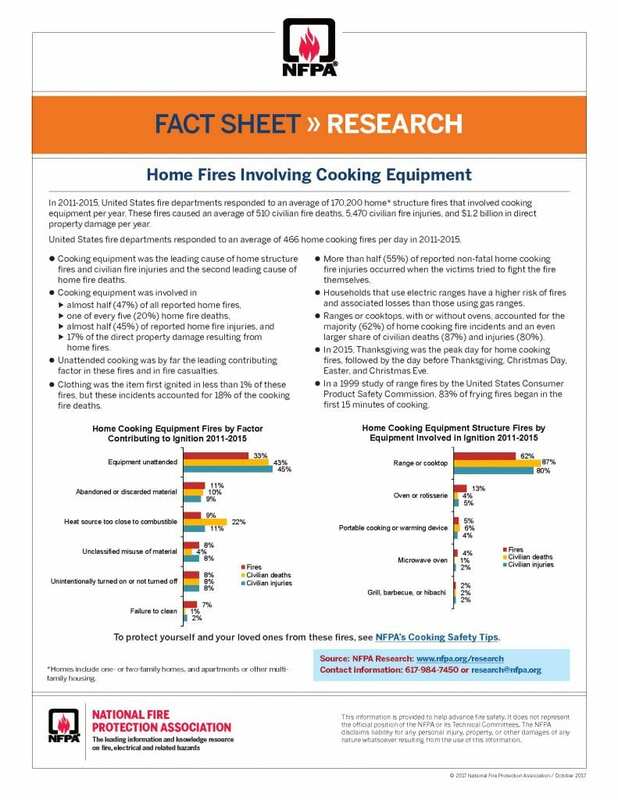 Cooking fires are the leading cause of home fires in the U.S. 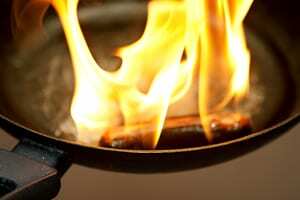 In 2016 over 118 deaths and 2,359 injuries resulted from cooking fires, according to US FEMA fire statistics. Many of these fires started because someone began cooking and then fell asleep or was distracted. So what do you do if your parent is forgetting about pots on the stove? First step is to find out from your parent how the cooking fire occurred? Perhaps they had food wrappers too close to the stove or were cooking food on too high of a heat? Are paper towels or other flammable materials stored too close to the stove? You also need to understand whether the event is isolated or not. Was it a one-time event? If not, how often has it occurred? Forgetting about a pot on the stove can happen to anyone, but it can also be caused by minor or major medical problems that need to be addressed. 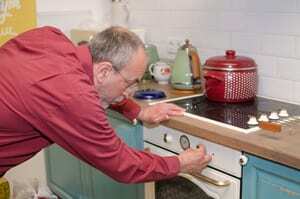 The dangers from cooking fires for older adults by forgetting about a pot on the stove is significant. 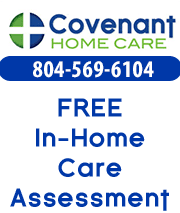 However, an older adult might feel like their independence is being threatened by having a discussion about this subject. Make sure you are prepared before having the discussion.by reading: How to Have a Successful Discussion with an Older Adult. Also ensure functioning fire and smoke alarms are installed in the home, and that they have fresh batteries. If possible have the alarms connected to the local fire station. Fire extinguishers are a good tool, but it is important to use the correct one in the kitchen. If you discharge a water-based fire extinguisher over a grease fire, it can actually spread the fire. The National Fire Protection Association recommends that stove-top fires in a pan should be smothered by putting a lid over the pan and turning the burner off. You should never throw water on a pan fire or put it in the sink under a faucet. Below is a fact sheet from NATIONAL FIRE PROTECTION ASSOCIATION that is worth reviewing (click to enlarge).